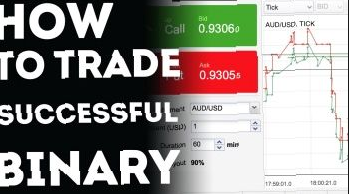 Home BINARY OPTIONS FOREX STRATEGY TRADING How to Become a Binary Options Trading Expert? How to Become a Binary Options Trading Expert? Do you feel that failure always overshadows every time you trade? And wonder why trading experts can profit and can make trading their lives? Getting a profit from trading may be a lot that can, but getting profit consistently is not easy. So how can professionals do it? How does a trading expert think and behave? Let us consider how an expert thinks and acts. Newbie traders usually tend to rush to see the charts, feel hopeless if they fail to make a profit, and often trade directly. Whereas a trading expert will be calm in the face of every trade, and trust trade processes and plans so there is no need to worry. Professional traders understand their own minds and realize that personality can interfere with trading success. They have identified and worked to solve mental problems. Developing a profitable trading mindset is a requirement to become a professional trader. A trading professional will not continue to struggle with the graph at any time, but they normally carry out daily activities. They mostly do long-term trading, not daily. The main difference in the mindset between amateur and professional traders is that professionals do not have the urgency in their trading approach. He only plays games because they want to profit, or run it as a routine. Not because they 'try' to make money. Making money is a by-product of doing everything well enough to be profitable. Professional traders trade when others don't. Maybe more specifically, a professional trader will usually be on the opposite side when trading, rather than a beginner. A professional trader has built a trading plan with a strong foundation, has a risk and money management plan, has a sharp awareness of market volatility. They understand that volatility changes often occur and they know that they need to adjust their approach. Expert traders realize that trading markets that correlate and do not reduce risk properly will result in more risk than they feel comfortable. You must understand market correlation to a certain degree and make sure you do not double the position with two markets trading simultaneously which is highly correlated. Professional traders wait patiently to start their trading, wait until market conditions mature for a position. In other words, an expert knows what they are looking for and they don't waste energy and money. They have confidence in the strategy they have and do not doubt whether it works or must replace it. If you are not 100% sure of the strategy currently in use, then you need to rethink the strategy and maybe learn new ones instead.